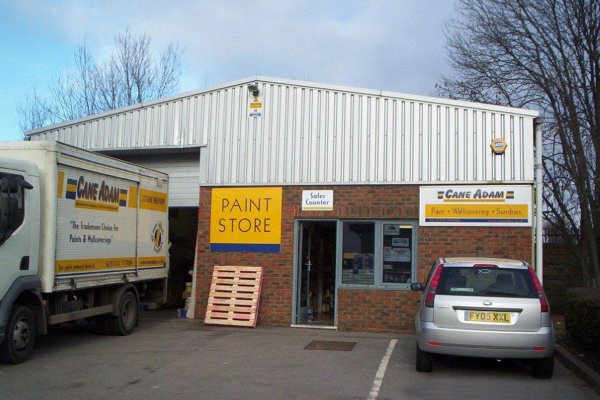 We’re a passionate bunch at Cane Adam in Leatherhead, good-humoured and enthusiastic about providing the best possible service to our trade and retail customers. We stock a broad range of paint brands, brushes, rollers, workwear and other decorating sundries and equipment. There’s plenty of free parking outside the store and, fuelled with free coffee, you can take your time browsing wallpaper books and paint colour brochures. We’ll even colour-match anything you bring in as accurately as we can. 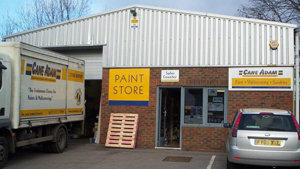 You can find us, and the answer to any painting and decorating challenges, on Ryebrook Industrial Estate in Leatherhead, close to junction 9 of the M25. Whether you’re coming from the motorway or the town centre, head for the A245 Kingston Road. Look out for Leatherhead Trinity School and Curves fitness centre – and turn onto Bay Tree Avenue on the opposite side of the road. We’re at the end in Unit 7.